The SALA exhibition 'forWARDback' is a unique collection of contemporary visual art; displayed with objects from the Unley Museum's historical collection. It promises to be one of the best exhibits in 2015. Five local artists have contributed to the collection. It's on display from 02 August to 22 September 2015. ... and it's free. The advertising blurb reads ... Contemporary artists create new stories from old. Through contemporary artworks the artists reinterpret objects from the Museum's collection to create a dynamic social dialogue between Unley's past, present and future. See tomorrow through the secrets of yesterday. Pets are wonderful companions and give us joy and unrelenting love. The top ten dog names are: Bella, Molly, Ruby, Daisy, Lucy, Max, Charlie, Rosie, Bailey & Billy. The top ten cat names are: Missy, Molly, Smokey, Tiger, Lucy, Millie, Tigger, Bella, Charlie & Sooty. I'm not that old, but I remember the outdoor dunny; a cold sprint down to the backyard dunny; usually a wooden building with a galvo iron roof. Make as much noise as you like and no-one would hear you, except for someone passing in the laneway; a lane that was built to service the adjoining houses. Water, power and later sewerage pipes ran down these service lanes. 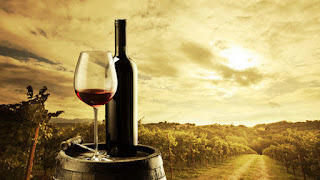 There has always been debate about a glass being with half full or half empty. Which is correct? Researcher Malcolm Smith has recently completed research with many half full glasses of water and beer. His finding was that when people were left alone in a room with just half a glass of water for hours on end, they drank the water. In 90% of cases the result was an empty glass and he saw a pattern. He claims that "you're far more likely to drink half a glass of water than you are to refill it". Smith claimed over another beer that his research proved that a half filled glass is considered to be half empty. Despite this claim it will probably not truly settle the question of a glass being half full or half empty. He does deserve credit for his dedicated research. Last year I bought a quince tree. I went to a nursery in a wine region; a region where there are numerous local homegrown, home baked food companies; one a bit bigger than the rest. Talking to the nursery man about quinces and local crops, I was shocked to learn that a well known local producer had imported quinces from Asia to increase the output of local quince products. The products were still labelled as made in Australia. I made a mental note to not buy any more products from that company. A pity given the magnificent range. After the contaminated berry issue last year, my stance on food labelling has increased. Food must be labelled to show where it was grown, where it was processed and there must be a list of all preservatives and additives. The Unley Council will be providing recharge stations across Unley, at community centres and libraries. A good idea. Maybe you want to check the high school zone of a house you want to buy …or want to know where the closest walking and bike trails are? Or you know someone who wants to start a business on a road that has high traffic volume? You can check all of these things and more from the Location SA Map Viewer. Government spatial data has been combined on a single website, allowing easy access to everything from public transport to planning development zones and Marine Parks in one view. The Location SA Map Viewer was launched recently. It is proving to be quite a hit. The semicolon tattoo is all the rage. It can be tiny or large. 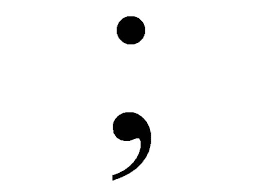 I've seen quite a few, in a few odd body locations and wondered what it means.The selling point of the semicolon tat is that it is supposedly for a good cause and can be small and discreet; or as large as you like. There is a social organisation called Project Semicolon and it aims to raise awareness for mental health issues. This is the origin of the semicolon tattoo. According to the organisation’s official website, “a semicolon is used when an author could’ve chosen to end their sentence, but chose not to. The author is you and the sentence is your life;”. People all over the world are getting semicolons tattooed on themselves to signify their battle with mental illness or show support for those who need it. I'm tempted to get a tat, but may defer for a few years; instead, I'll make a donation to Beyond Blue. Australians lose $45 million to scams in 2015 !!! It is amazing that this year (and so far only over 6 months) Australians have been conned and scammed to the tune of $45 million. That’ll probably grow to $90 million over 12 months. How can people be so stupid? Easily, if they believe in getting a huge reward for nothing. Beware of that person in Nigeria who needs help to transfer funds and if you’re into Internet dating and your new love gets into financial difficulty, then send nothing except an introduction to the scammer in Nigeria. Tonight the Maroons didn't just beat the Blues in the Origin final. They thrashed them. It was Queensland at their best. And their goal kicking - a record, one of many records on the night. I enjoyed a few maroon drinks during the game. The SA Government has launched a new website called Alert SA – and there is even a mobile app. These days it’s considered a must to have a mobile app with a website; the desktop is getting cluttered.